We had a rush of late summer excitement for the round 3 Premiership rugby match between Exeter Chiefs and Sale Sharks. In our enthusiasm, we decided to give something back to our Facebook followers. Michelle Phillips was the social media player who managed to ground the ball. 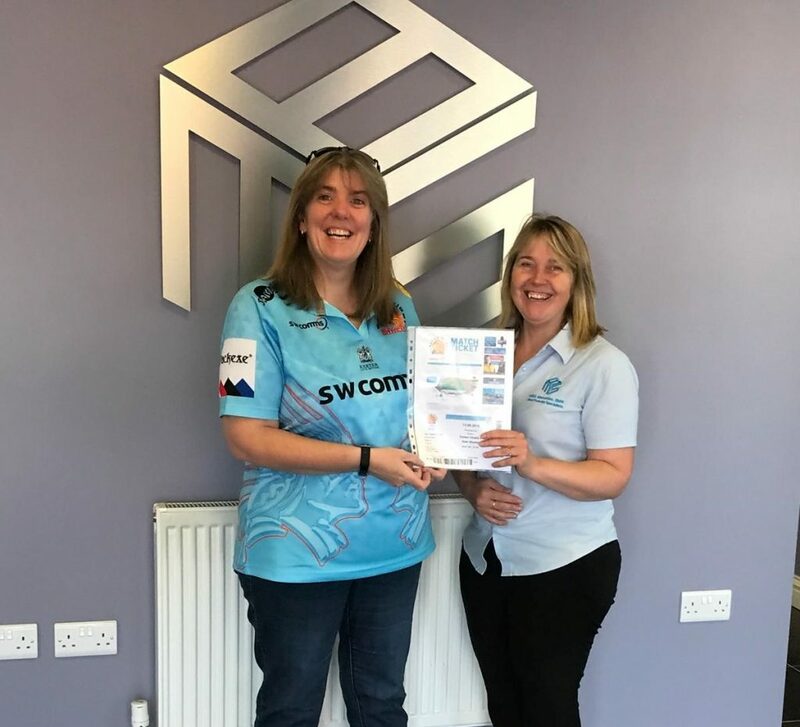 She won two tickets to the match at Sandy Park, presented to her by MBS’s Alison on the morning of the match. All our followers had to do to be in with a chance of winning tickets – to what promised to be a hard fought and exhilarating game – was like our competition post and tag someone who they would enjoy sharing the day with. Our Facebook community did not disappoint, with more than a tenth of our Exeter following jumping in and tagging their friends within hours. Thank you to everyone who entered the competition, it’s safe to say that our Exeter community are roaring supporters of their team! 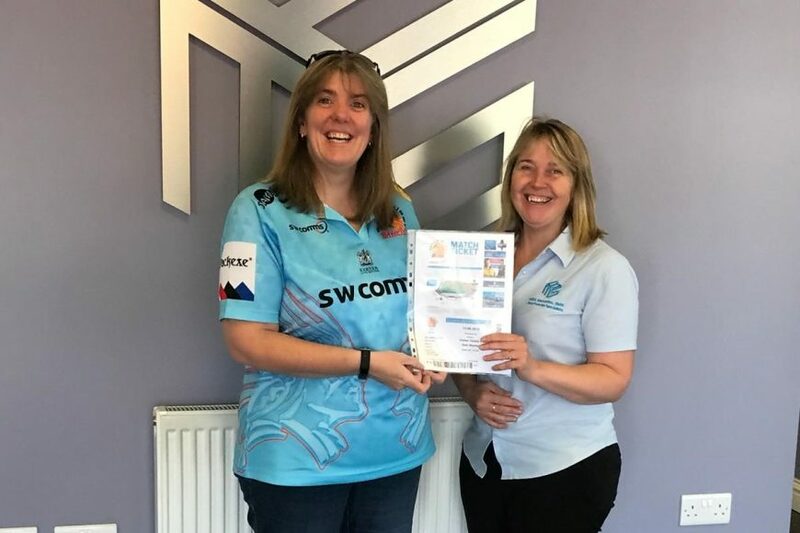 We are delighted that Michelle was able to enjoy the match and just as delighted that The Chiefs won the day, continuing their perfect start to the Premiership by scoring 5 tries to beat the opposition 35 – 18.